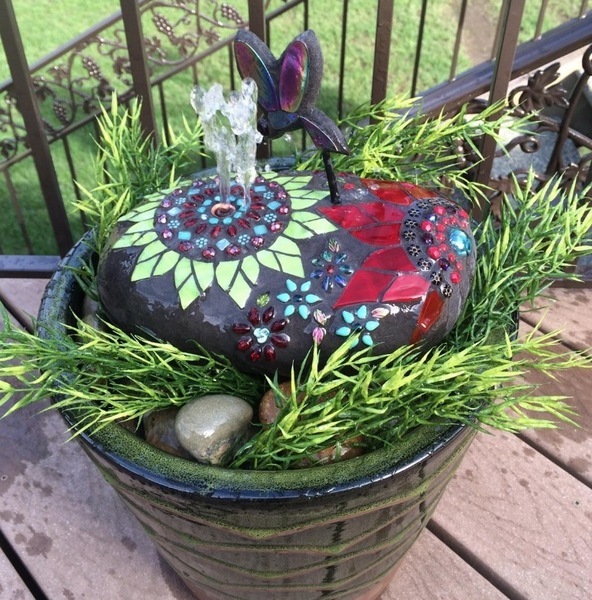 Pricing: $210 Dbl flower...includes mosaic rock with copper water flow center, Dragonfly Stake, water pump and tubing, suspension ring for holding rock on the top of a 12" opening of your flower pot of choice. Pot should be straight or flared out opening. No pot with top edge folding inward suspension ring will not be able to be placed.